First in Flight – Tell my story. This would be the equivalent of a tag-along on a NASA flight today! 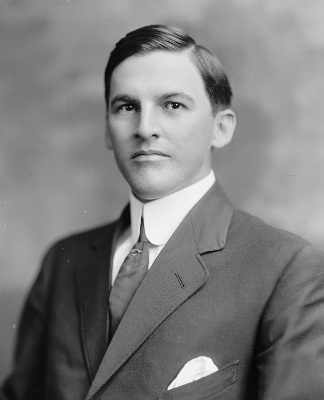 Naval aviation had only just been established at Pensacola as an attempt to re-open the base (which was closed during President Taft’s administration); hell, human aviation had only just been established a few years earlier! Also, an airplane ride was not really something accessible to everyone, unless, of course, you were a congressman, or other high ranking personage back in the day. 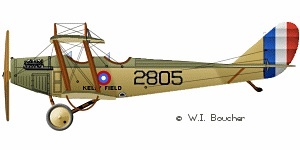 Emmett’s ride was most likely in the Curtiss JN-4, also known as a Jenny. These were standard flight training vehicles for both the Army and the Navy. A ride in a plane must have been overwhelmingly exciting, thrilling, frightening, and breathtaking all at once for Emmett. I wonder if the experience stunned him into silence, as he gazed at the beauty of Pensacola Bay from a perspective he heretofore could only have imagined. But part me thinks he was yelling something like: ohmygod! ohmygod! ohmygod! ohmygod! (to himself, if not out loud!) during the entire 15 minute trip! Emmett rode in the back seat, probably wearing the standard goggles and leather helmet. I can see him waving at his friends below, who watched the plane cruise at about 40 miles per hour over the bay. I wish I knew what he felt and thought about this experience. A while ago I mentioned that he had a set of scrapbooks that he’d willed to family friend. I feel like he recorded something about this flight there. I mean, this was a man who did not even own a car; if he drove, it wasn’t often. And think about it: Only a few year earlier the main transportation was by horse and buggy. 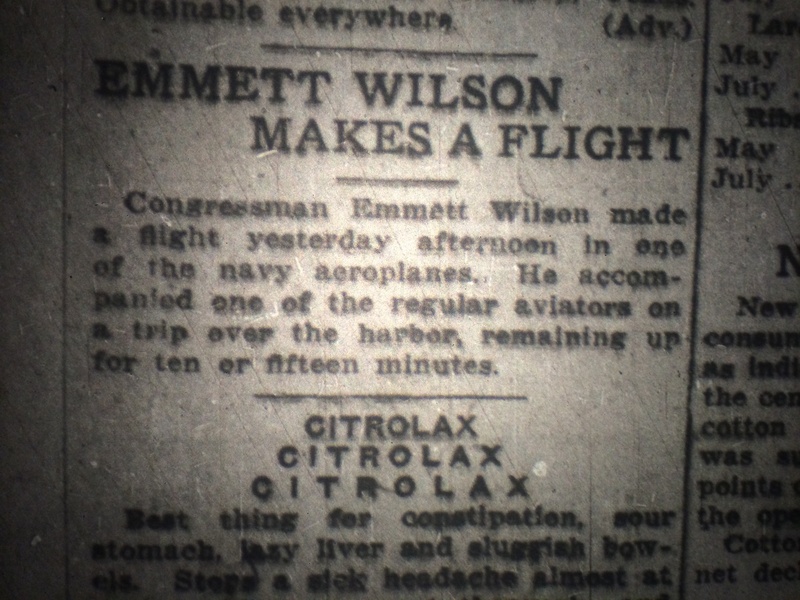 Emmett lived in a time where he got to experience a lot of firsts that we take for granted: Automobiles, telephones, and aeronautics, just to name a few. Meanwhile, knowing Emmett actually took a plane ride makes me feel a little closer to him; I’d never have figured he’d have done something that is so everyday in our 21st century existence. Now, if I could only locate those elusive scrapbooks of his…I would love to hear about this experience in his own words!